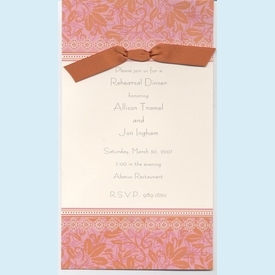 Beautiful rose pink and sienna orange tones combine in this decorative invitation with orange tie-through ribbon. 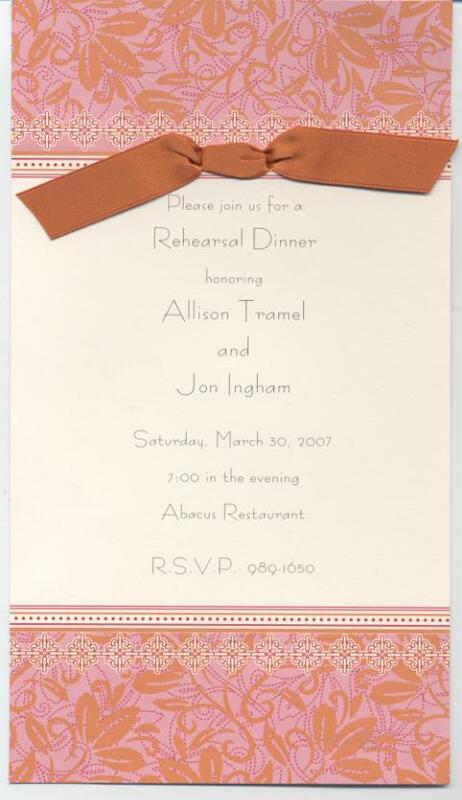 Cream center part highlights your printed text. Coordinating accessory pieces available. Coordinating notes below. Customer assembly required. CLOSEOUT...only a few boxes left! SIZE DIMENSIONS: ~5" x 9"